In which your blogger got a lot done, and washed his car, and fixed his bike, and did a little BD, and a little marketing, and coded pretty much all day in between, and then ... blogged. Testing relativity with three spaceships and lasers. 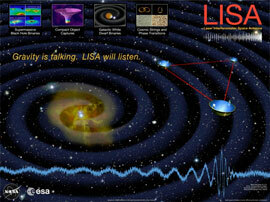 Awesome project, awesome tagline ("gravity is talking, LISA will listen"), and awesomer headline, but shouldn't that be friggin' lasers? The Oatmeal: Eight websites you need to stop building. Hilarious! Interesting; Amazon's Kindle showing promise as means to access medical literature. "One advantage the Kindle has over the iPad, and just about any smartphone, is its free mobile Internet access... With the help of a federal grant, Duke medical librarians converted textbooks and clinical guidelines for use on the Kindle and added functions to search PubMed and the Internet. They gave the devices to various medical students and preceptors for their rotations in primary care. Though the device is much slower than a full-powered computer, it scored high in terms of reliability and usability." Excellent. NYTimes: Flying with the Dragon Lady. "Fifty years ago today, the Soviet Union announced that it had shot down an American U-2 spy plane and that its pilot, Francis Gary Powers, was alive. It seems like a long-ago event from the cold war. That may be why, in this era of satellites and drones, most people are surprised to learn that the U-2 is not only still in use, but that it is as much a part of our national security structure as it was a half-century ago." I'm surprised! 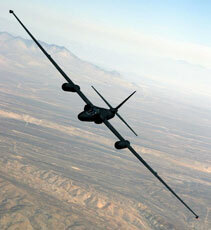 Wow, U-2s are still flying, who knew?